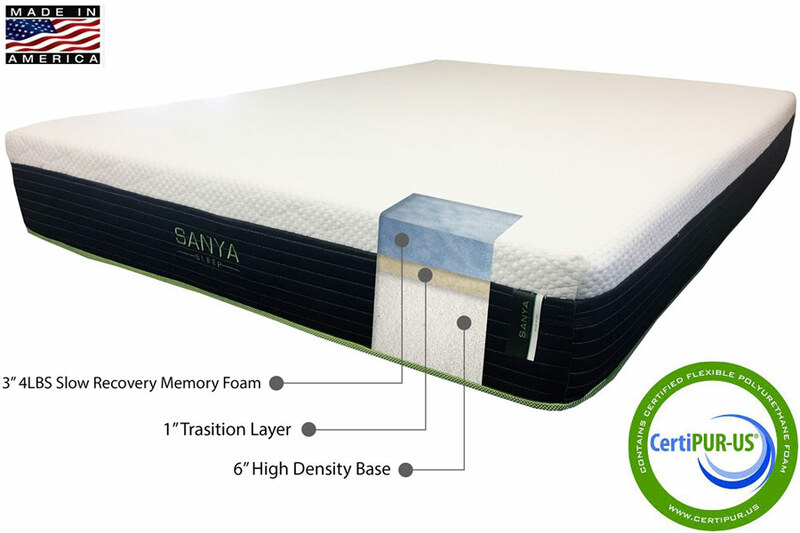 Sanya Sleep's Kayla Mattress is the perfect firm mattress, starting with a 6" high-density base for supporting proper posture, and eliminating motion transfers common in innerspring mattresses. On top, Kayla features a 3" layer of open cell slow recovery memory foam. This layer boasts the "old school" comfort that makes memory foam so popular, but in an "open cell" variation enabling better airflow and temperature regulation than low-quality foams. Kayla is finished out with a 1" transition layer, cushioning the cozy top layers against the firmer base. Made in the USA, Kayla is the ideal 10" memory foam mattress for any bedroom!